Joseph Annamkutty Jose, the celebrated author and radio jockey is in Calicut on Monday, April 1st. Joseph who fit in reading in the lives of umpteen number of youngsters is up with his second literary outing. 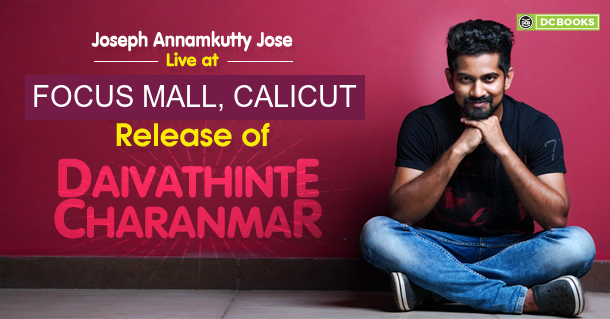 Titled Daivathinte Charanmar, the book will be released on the day by writer and script writer Jeevan Job Thomas at Focus Mall, Calicut. The event which begins at 4pm includes an interactive session led by the author after the book launch. Your presence offers you a chance to meet the author and get an author-signed copy of the book. Published by DC Books, the book is a memoir he has inked with stories from his life. Known for his talks and thoughts on simple things that often miss our eyes, he pens his reflections about people whom he met on the cross roads of life in this book, his first Malayalam venture.